The story we published Tuesday regarding an MCV interview with Alan Pritchard got a lot of Sonic fans’ attention. 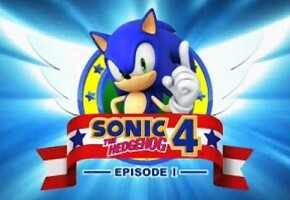 In it, Pritchard, the new VP of marketing for the American divison, acknowledged demand within the ranks of Sega for Sonic 4 to be made available in a physical form. The remark prompted questions on whether such a release was in the cards, perhaps when all episodes of the next Sonic were released for download. Pritchard’s comments and the subsequent speculation caught the attention of Sega community manager RubyEclipse, who briefly commented on the remarks today at the Sega forums. Unforutnately, they encourage proponents of physical media not to get their hopes up. The debate transitions nicely into our current TSSZ News @Issue poll, which asks if you think Sega should reconsider that stance, but only as a means to prevent leaks. Even outside of that context, do you still think it’s a good and profitable idea? Tell us in our comments section.